Moving to a new home can be stressful for everyone. 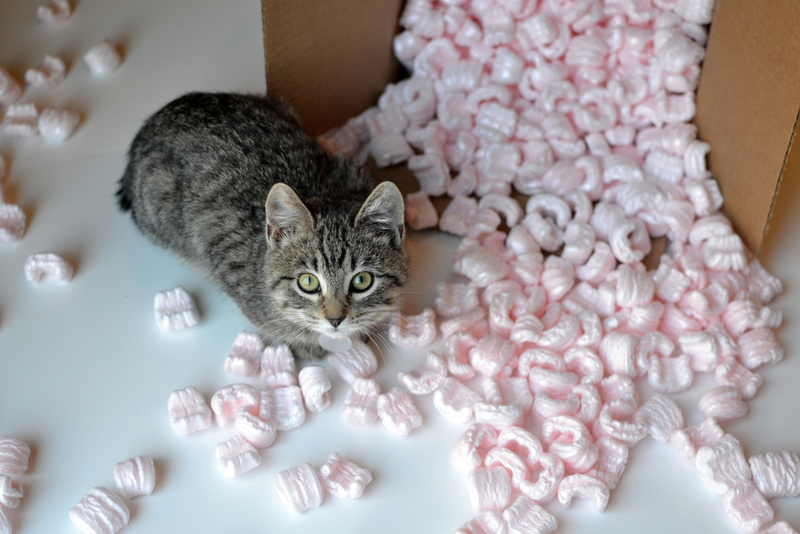 In the chaos of moving trucks, boxes, and high anxiety levels, your pets can feel stressed too! We know the process of moving with your pets can be ruff, so that’s why we've come up with 4 easy steps for a safe transition to your new home with your pets. If you are moving farther away, talk to your vet before you leave so you can get copies of your pets medical records, vaccination history, and any prescription medications. You should also ask your vet if they have any recommendations for a new vet for you. Before you make the move, take time to slowly pack up your belongings. 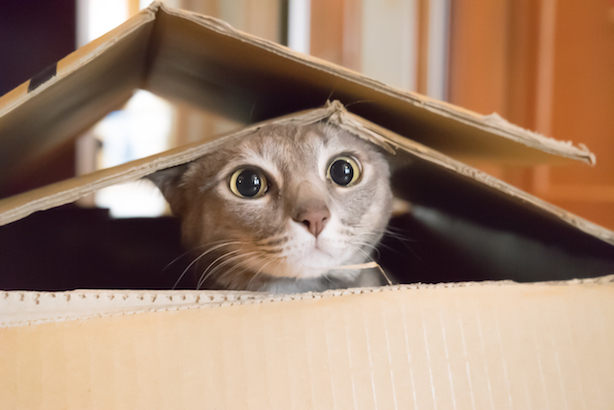 If you start packing everything all at once, your pets can become anxious. We suggest stretching it out over a few days or even weeks if you can. Also be sure to take breaks for walks or playing outside to ensure you don’t mess up their daily routine. Your pets need reassurance that everything is under control as they typically don’t like change. You will also need to decide how to travel with your pets to your new home. If the decision comes down to flying or driving, here are our tips. If your new home is within a reasonable driving distance for you, then you should drive. 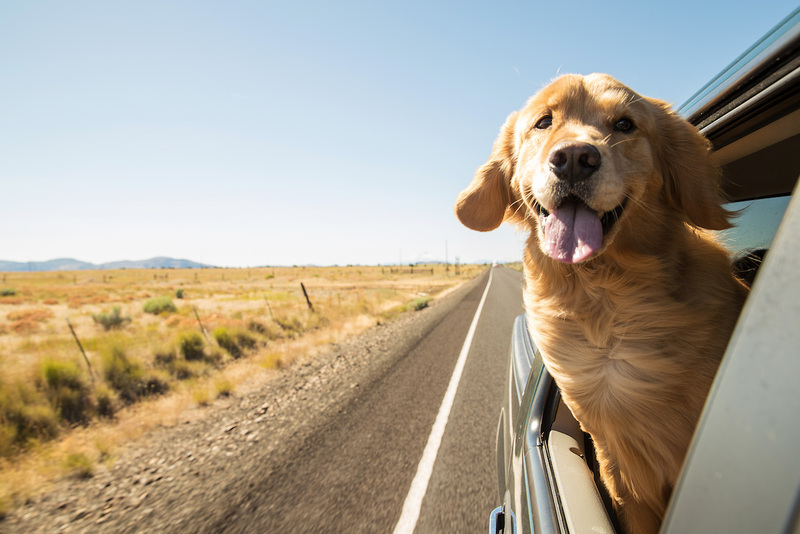 Although driving will require a few extra bathroom stops along the way, your pet will feel most comfortable being with you. By putting your pet in a carrier in the back seat be sure to include some of their favorite blankets, toys, or anything that will make them comfortable. If you can, you should also put a shade over the window or a blanket over their carrier so they can’t see the new environment change while you drive. If your drive will take several days, you should plan out where you will be staying ahead of time, as many hotels do not allow pets. Check out this route planner for pet-friendly hotels and stops. If your pets get car sick you should feed them a few hours before you leave and then wait until after you arrive to feed them again. If you have to fly, you may need to plan your move a little more in advance. The rules and regulations for flying with pets are different for every airline. Larger dogs usually have to fly in the cargo area of the plane which is the pressurized and temperature controlled section under the seats. This route may be more expensive and could cause more anxiety to your pets. When you arrive at your new home, the first thing you should do is inspect your new home of hazards that may be dangerous to your pets. Check to make sure windows and doors are securely shut, electrical cords are tucked away, there is no broken glass, and confirm that there was no poisonous pest-control sprays or traps set up prior to your move. You should also check for holes in walls, the back of cabinets, and behind large appliances. Your pets are in a whole new world ready to discover all of the new sights and smells in your new home, so it’s important that the space is safe for them. As you move into your new home, there are a few things you should do to not overwhelm your pets in a new space. When you finally arrive at your new home you may feel tempted to let them roam around and explore the new space. However, this will most likely overwhelm them. It is best to keep your pets in one room of your house, especially while you move everything else in. Place their bed, toys, blankets, and any items that will make them feel comfortable in one room with them and allow them to feel comfortable in one room at a time. You should also place familiar objects in the same location as your previous home to reduce your pet’s stress. If you have a cat and their litterbox was in the bathroom in your old home, you should place their litter box in the bathroom in your new home. You should also get them back to their normal routine as soon as possible. If you have dogs and take them for a walk every morning, you should walk them around your new neighborhood so they can get comfortable in the area. Your pets may seem sad and out of sorts at first, but soon enough they’ll be king of the sofa and begging for your food again! When you’re looking for a new home (or just dreaming about one), the kitchen can be the room that makes the biggest impact. An overview of what living in Ames, Iowa has to offer with links to more information.